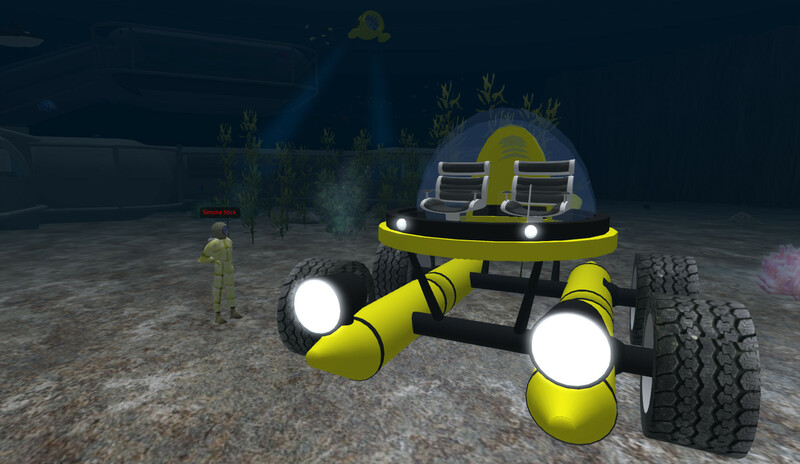 Justin Reeve, an educational technologist in the Weber School District in Utah, has created an OpenSim region with an undersea observatory and working submersibles, etc. aimed at Secondary School age pupils and to teach aspects of marine biology. 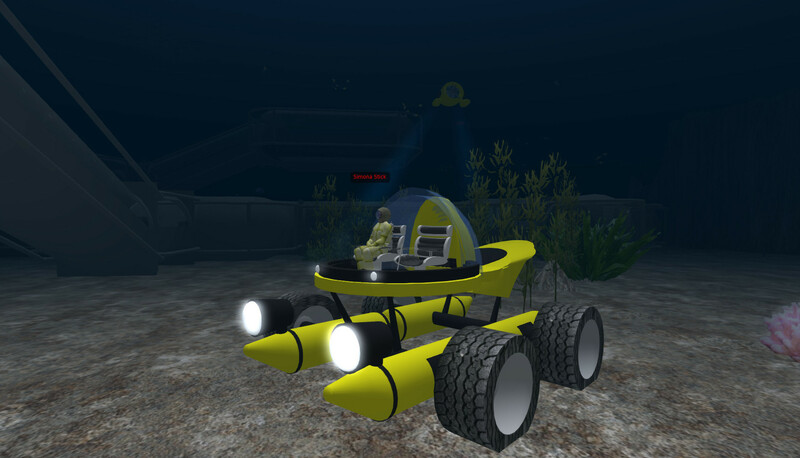 Some details of his build and the open source assets he used to create it are at: http://blog.wsd.net/jreeve/undersea-observatory-for-opensim/. Olivier Battini at New World Grid in France uses this Undersea Observatory OAR as one of the 3 available initial region setups for his grid add on regions. The default on New World Grid is our own OpenVCE virtual collaboration environment OAR. 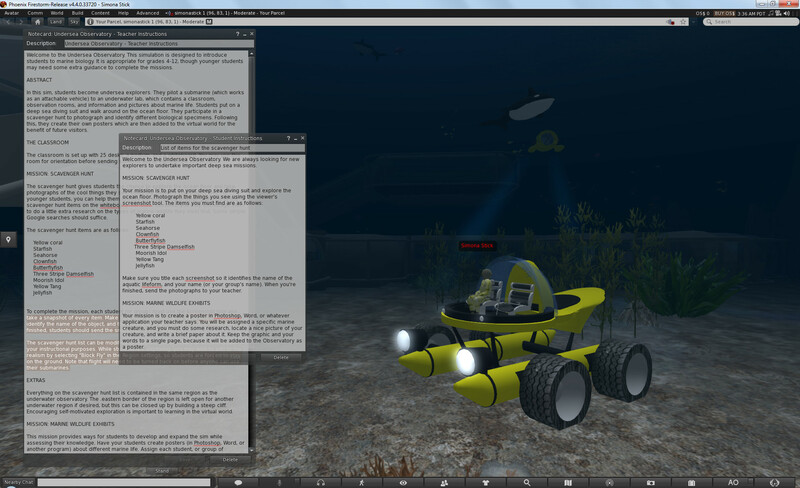 A quick trip undersea, to explore the assets and see the teacher and student notes, is possible using the standalone “Sim-on-a Stick” OpenSim distribution. Visit the Undersea Observatory on the Kitely OpenSimulator Grid, download a standalone “Sim-on-a-Stick” OpenSimulator version, get the OpenSimulator Archive (OAR), see more images and see teacher and student notes at http://blog.wsd.net/jreeve/opensim-worlds/. Justin Reeve comments – As for the submarine, I did notice some errors [in the attachment position to your avatar] when I tried reloading the OAR into another region. I’m going to fix it in the next release. For now, just try attaching the submarine to your stomach, then reposition and rotate it until it looks right. It should save the positioning permanently after that for your avatar.